A quick tour to Olkhon for only 2 day and 1 night is ideal for people who are short of time. 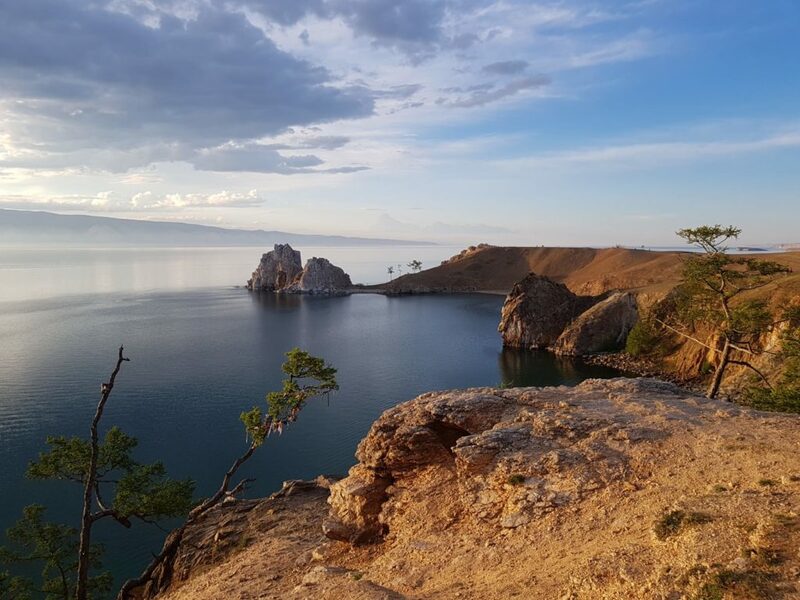 I strongly recommend to visit Olkhon island for 3 or even 4 days if more time available! You’ll be picked up from my hostel (or train station or any other place in Irkutsk) at 9 am. Vehicle: a 8 sit minibus or a car. We will be driving through vast open spaces – so called Buryat Steppes – where we eventually see herds of caws and horses on green fields. You’ll see wooden polls with colourfull ribbons along the road. The island still remains being the truly shamanic place. Those polls are the ‘borissa‘ – horse tethering post – a mark, where travellers have to stop (or slow down) and drop on the ground a little item (usually coin or piece of material) to show their respect to the spirit of this area. In fact, dropping a coin is a routine daily ritual conducted every time you pass though this place. We check into: BAIKALER RURAL HOSTEL aka “U Olgi” or other guesthouse if the private twins are requested ! Accommodation is in the main wooden house or a wooden guesthouse, twins. The place has showers and flash toilets outside of the cabins. After lunch, we will have a walking excurtiona around the village, see the famous Burkhan Rock and walk on ice. At 10 am we are picked up by a local guy on a 4WD minibus. This excursion is the great way to explore the Northern part of the island. Total driving mileage for this day is 70km. Lunch is included. We have our picnic near the Northern tip of the island is a lovely forest. We return to our homestay in Khuzir by 2-3 pm. Jack is a great guy, trustworthy & competent, with good sense of humor & excellent driver. 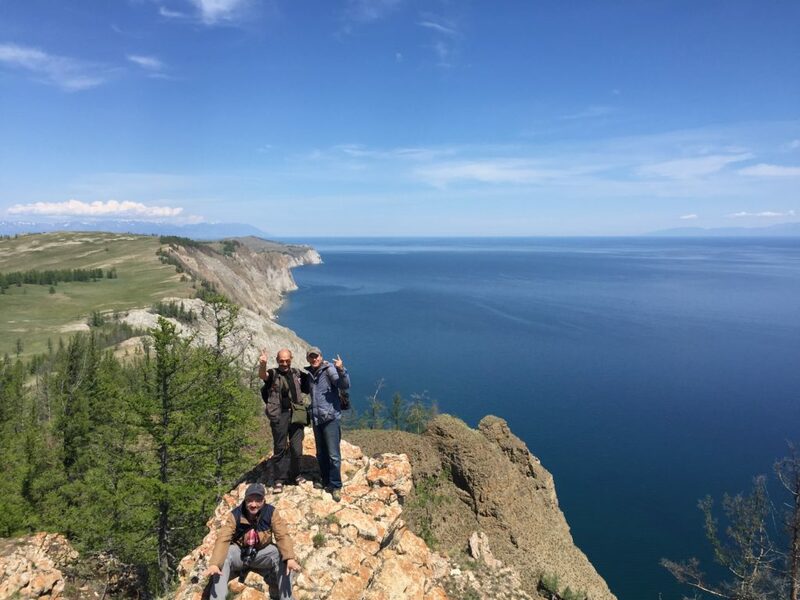 He mastered perfectly the 4-day tour on this must-see Olkhon Island he offered to us (a group of 4), locations, history, itineraries, accommodation, etc. A precious address, highly recommended ! Gérard & Laurent Geneva, June 2018. ​​To avoid staying in line for the ferry, this tour requires extra transfer from 15th of June till 15th of September, which costs 7000 rub per group (round trip). During the season of ice freezing and melting (approximately from April 1st to May 8th, and from December 30th to February 10th), this tour requires extra transfer, which costs 7000 rub per group (round trip) plus hovercraft ride (400 R per person)​. private car (and driver) transportation, 1 night accommodation, meals as noted (day 1: D, day 2: B) L, local guide-interpreter services, national park fees, 4WD Jeep rent and taxes. No hidden costs.